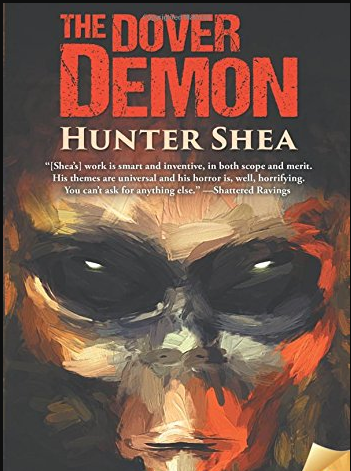 The Dover Demon is about a group of teens that come across what in reality is an urban legend. This legend is of the Dover Demon is Massachusetts. It’s an interesting place to start a story and that helps with the almost X-Files esque feel that the book has. At 250 pages the book does feel like it could have had a more satisfying ending however the story is fairly original and with it’s X-Files episode feel (as an X-Files Fan) It was enjoyable. The characters in this story are guilty of not taking what they see and learn to the police in public. This both adds and takes away from the story. It depends on how you choose to see the story. At the every end of the novel there is a second where a character releases a work of fiction about the Dover demon which is supposed to be sold as a work of fiction that will explain the story that happened to the group of friends in the story without drawing attention to the real events or naming real names. This in itself gives the story a feeling like you might have just read something real which is a good way of ending the story. It makes you think for a second. One thing that doesn’t quite work so well was bouncing between characters heads. This is a hard thing to do in stories and most authors fail at doing it well. This is a good book if you like creature features or urban myth stories. I don’t like the star system or rating systems. Everyone is going to view something differently. I think that after reading this review you should be able to tell if this is a story for you or not for you. If that is not the case and you are eager for stars I give this 34 stars out of 47.